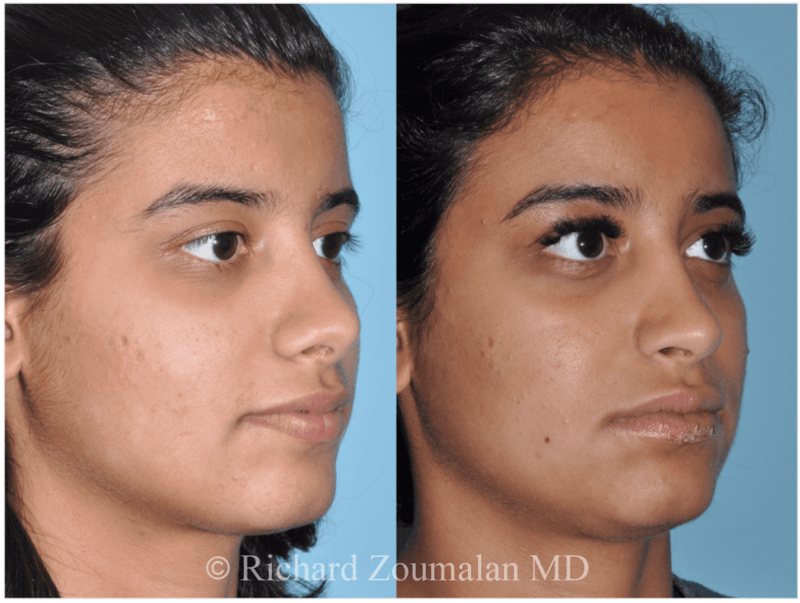 Dr. Zoumalan is known as a Rhinoplasty specialist because of his ability to correct or improve a prior Rhinoplasty previous Rhinoplasties. 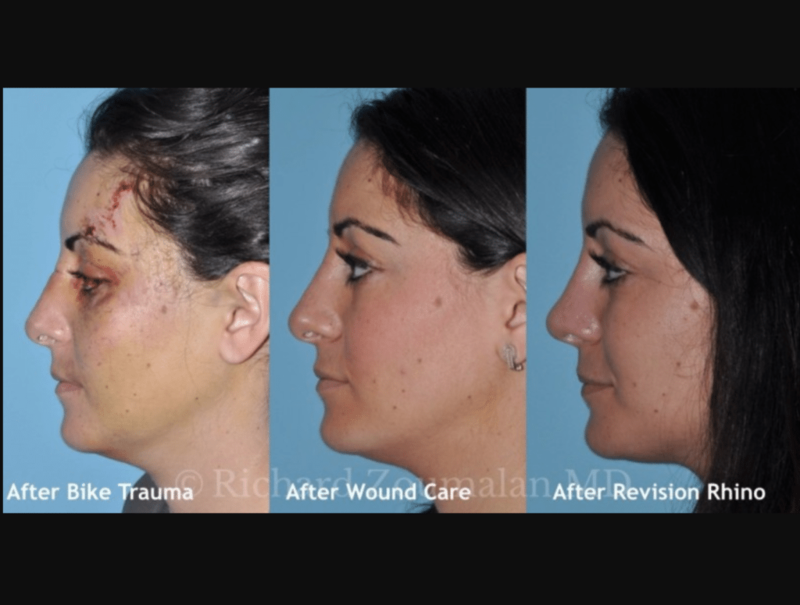 This surgery is known as Revision Rhinoplasty, and it is also called Corrective Rhinoplasty, or Secondary Rhinoplasty. 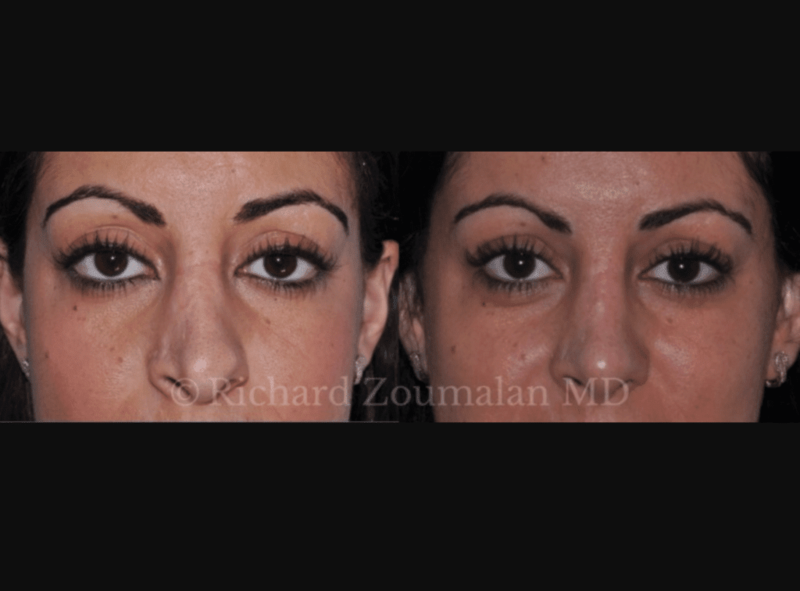 Dr. Zoumalan specializes in Revision Rhinoplasty. He artistically carves and sculpts the inside and outside of the nose to enhance the aesthetic appearance. 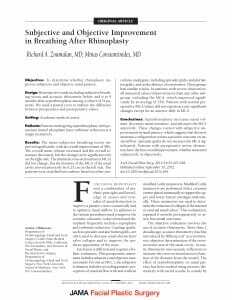 Revision Rhinoplasty often involves both a cosmetic and functional (breathing) component. 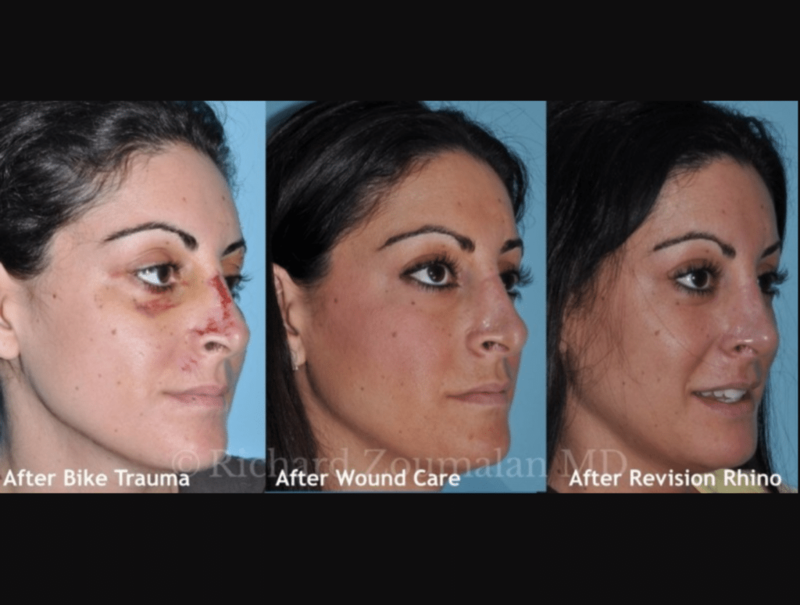 Dr. Zoumalan is at the forefront of this procedure. 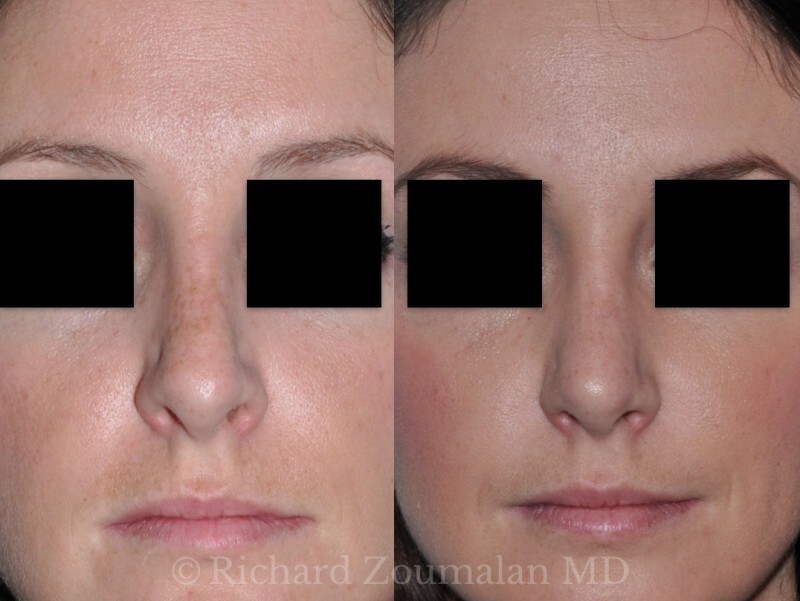 He is one of a few surgeons in the world that has published medical research which objectively studies the effect of cosmetic Rhinoplasty on breathing and patient satisfaction. Internal valve breathing problems which are typically not as common or severe in the first surgery. Imbalance of the nose that is new. 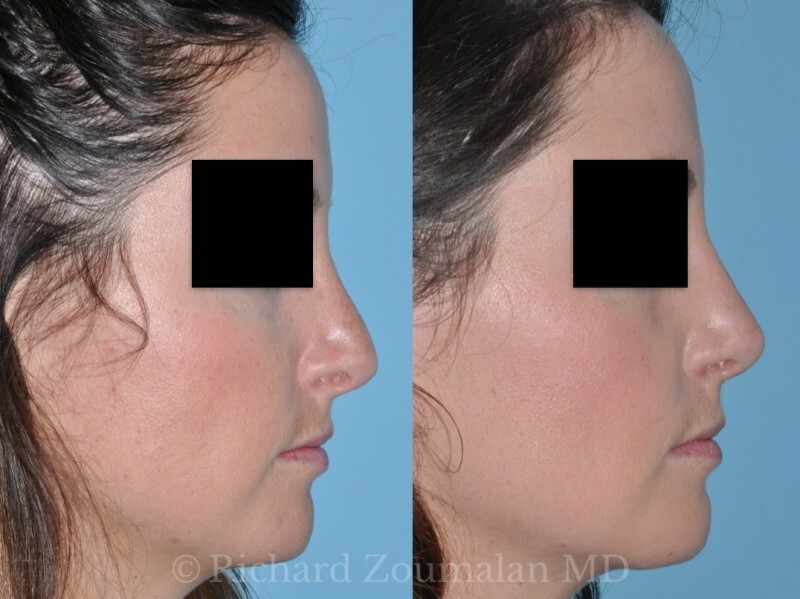 Dr. Zoumalan makes it clear to his patients that the reasons for a nose not coming out perfectly may not be the surgeon’s fault. 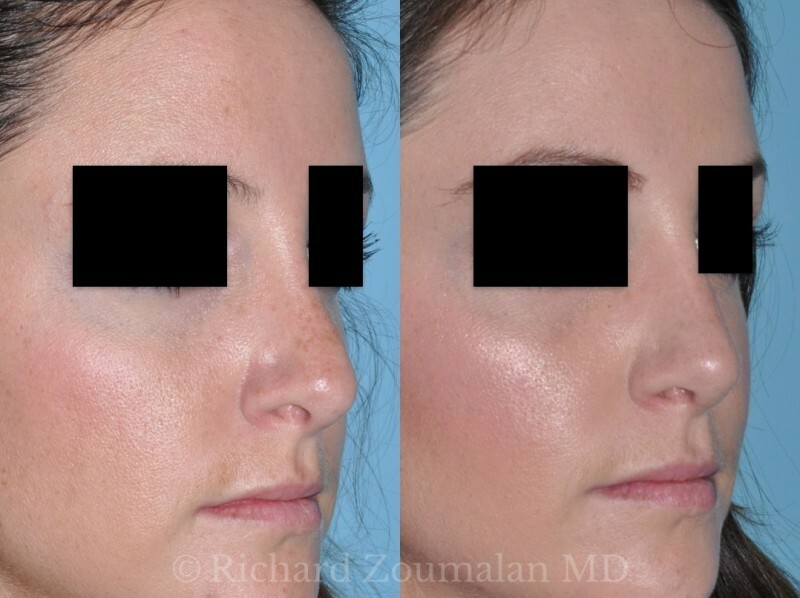 The nose heals in a very unique way for each person, and it is impossible to predict the outcome of any Rhinoplasty with total precision. 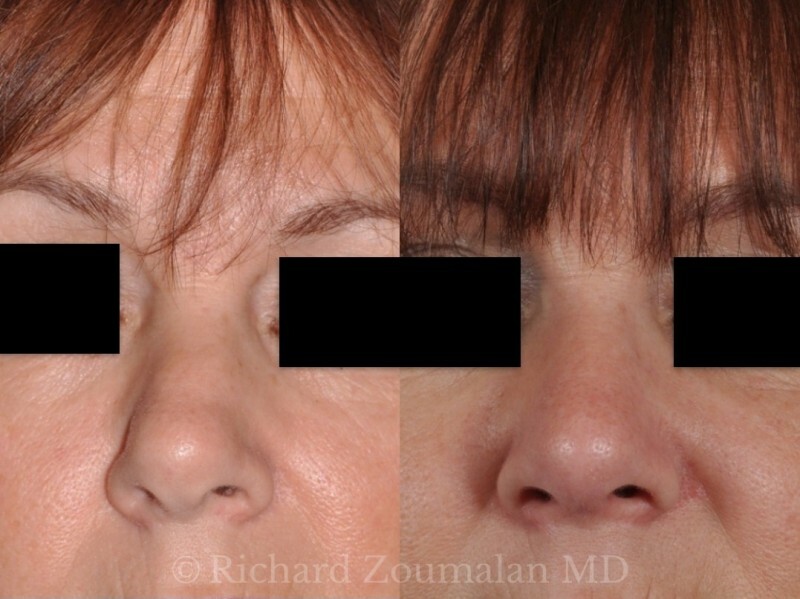 Even in the most skilled hands, the nose can heal unpredictably. Therefore, it may not have been the fault of your previous surgeon. 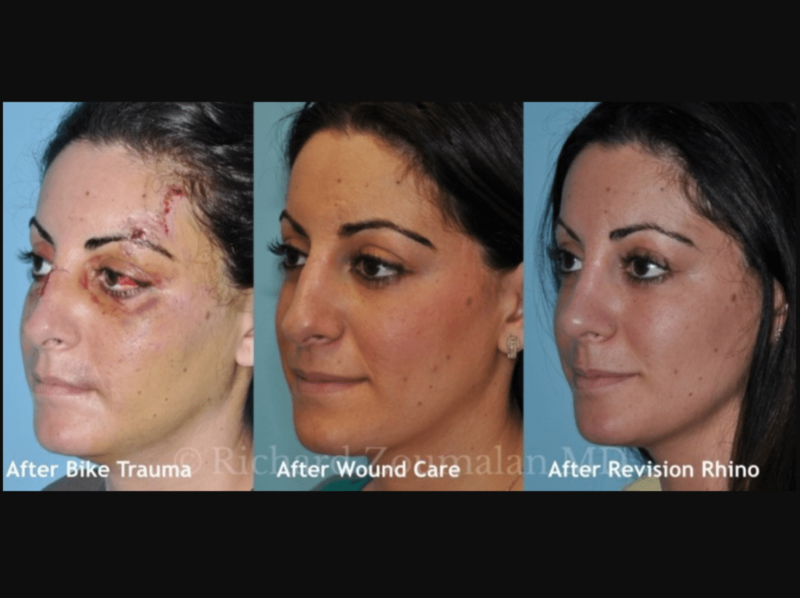 Because of this, during your consultation, Dr. Zoumalan would prefer not to speak badly about other surgeons. He aims to talk about how he can help you correct the issues that bother you. 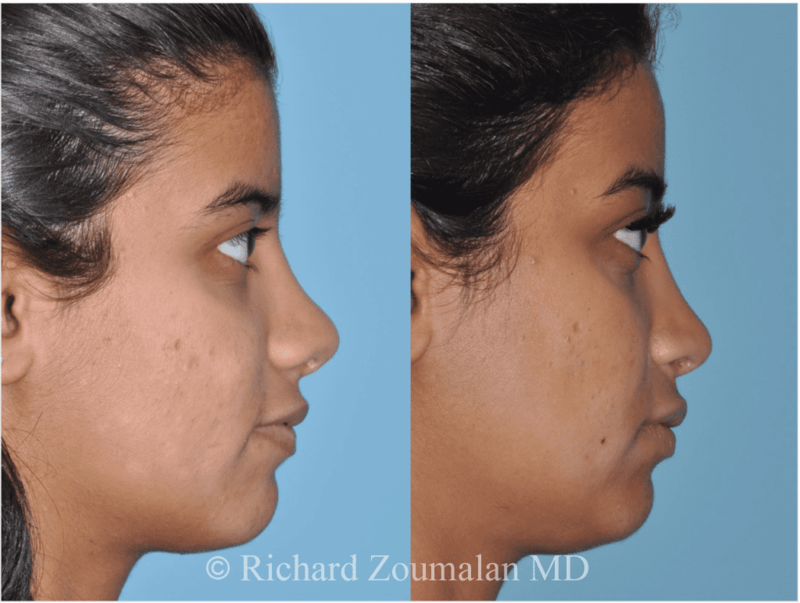 Dr. Zoumalan did research and performed surgery with world experts in Rhinoplasty at New York University and the University of Washington. He has spoken at numerous meetings and has published many articles on the topic. 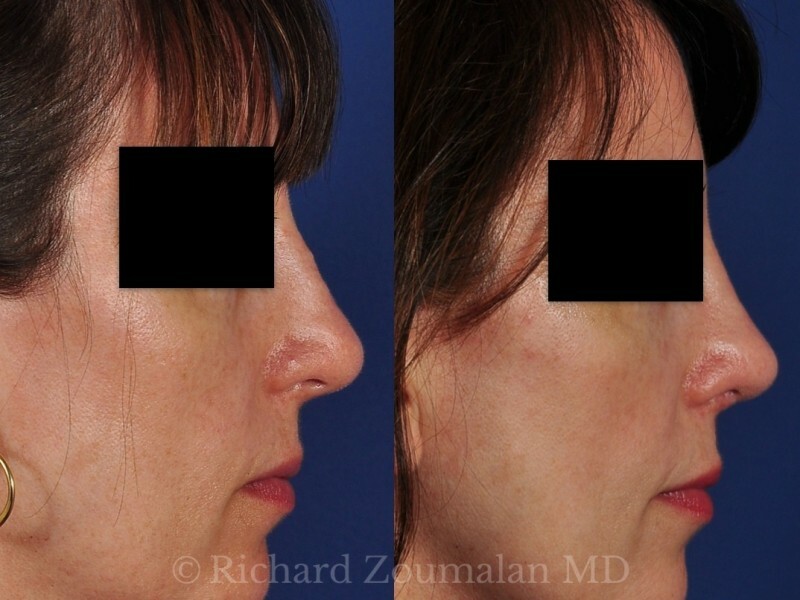 Because the nose takes a long time to heal, it is best to wait at least 12 months after your surgery to consider Revision Rhinoplasty. The reason for this is because swelling and healing take this long to subside. 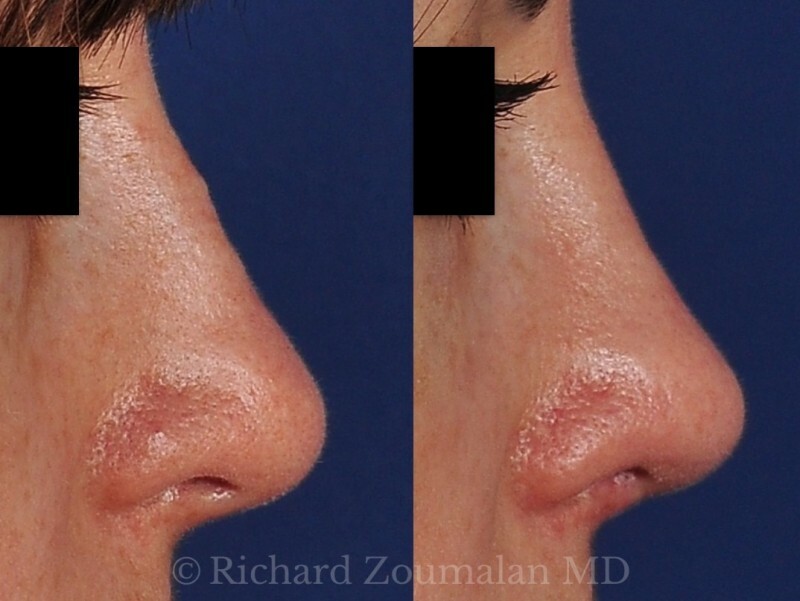 During the consultation, Dr. Zoumalan will examine your nose (inside and out). This will help determine how to best help you. Along with reviewing your photos, computer imaging serves as a very helpful tool during consultation. 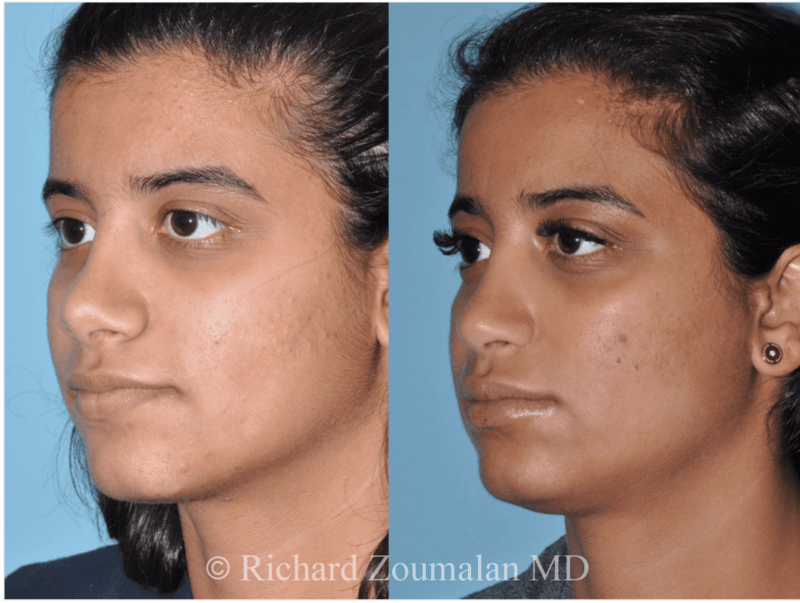 Using 3D imaging, Dr. Zoumalan can discuss multiple approaches and utilize the visual support as a communication tool to best understand and achieve your goals from surgery. Because previous operative reports help tell what was done in the previous surgery, it is best to either fax/email these before your consultation or to personally bring them with you during the consultation. This well help the surgeon know how to best help you. If you know that you had any nasal implants, please let him know. He may also feel your septum with a q-tip to determine how much cartilage you have left. 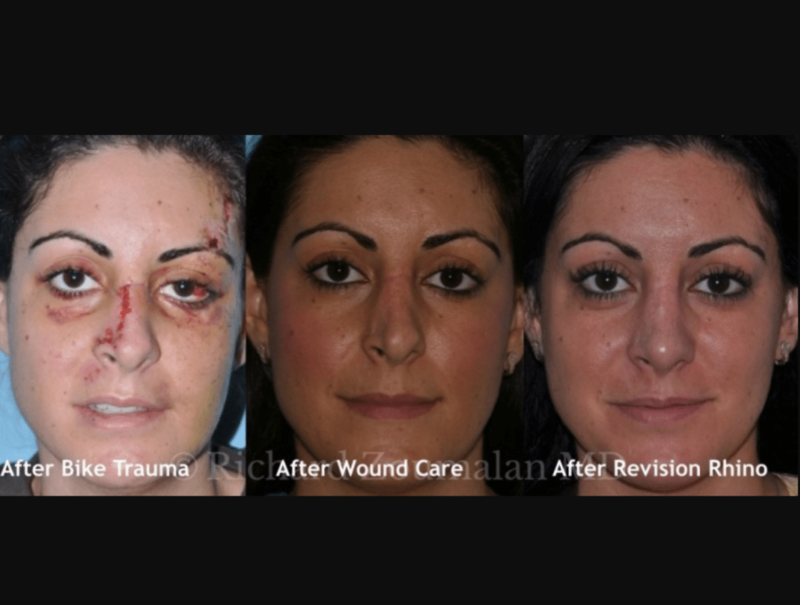 Often times in Revision Rhinoplasty, cartilage grafts are needed to help rebuild certain aspects of the nose. If there is not enough cartilage in your septum, Dr. Zoumalan may have to obtain grafts from either your ear or even rib. 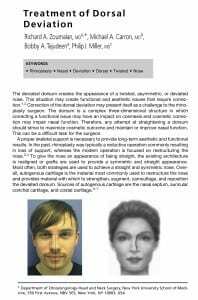 This is because the lower two-thirds of the nose are comprised of cartilage. 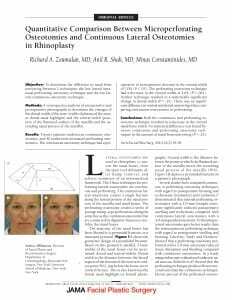 If not enough exists to help reconstruct the nose, these other sources may be needed. 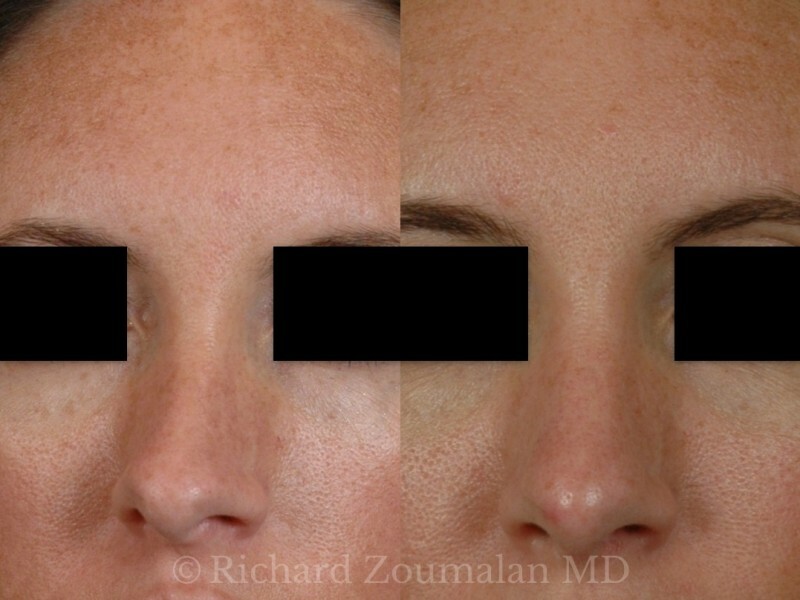 Dr. Zoumalan can talk to you about this in detail during your consultation. 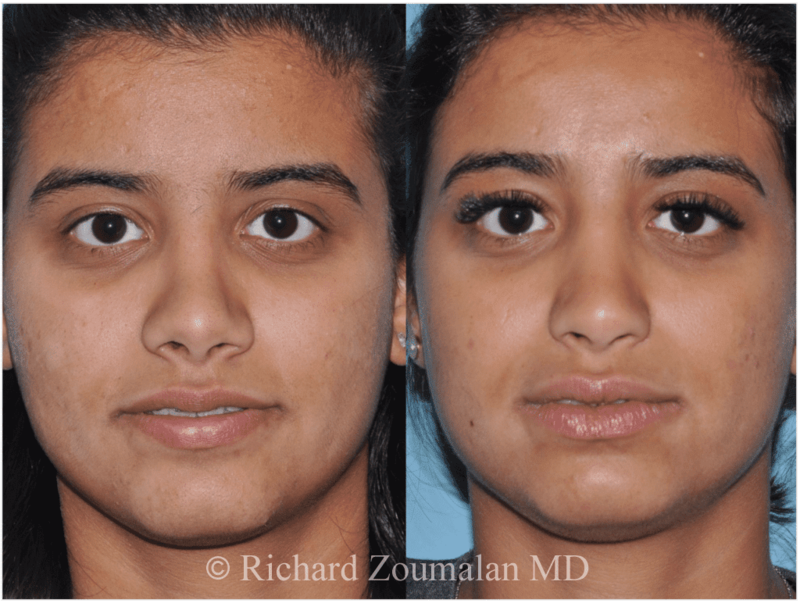 Dr. Zoumalan performs Revision Rhinoplasty under general anesthesia in a certified operating room with top-notch anesthesiologists. The center is a comfortable place which makes the whole experience pleasurable and positive. He uses a combination of the latest medical techniques and holistic methods to help you heal quickly. Because many people who have had previous nasal surgery have nasal obstruction, your insurance may help to pay for part or all of your surgery. Please fax or email your insurance information before your consultation in order to best tell how much your insurance may help.